Recently we learned that there are more than 300 healthcare observances in a given year. What does this mean to your organization? Each observance provides an opportunity to promote your business in a positive way. Health observances are designated days, weeks, or months dedicated to a particular health concern. For example, Healthy Aging and Five-A-Day months are September. Mental Health month is in May. Everything from Diabetes and Heart Health to Poison Prevention and Hand Washing has a date/week/month on the calendar. Every scheduled observance is backed with educational and awareness-building campaigns by their sponsor organizations. You too, can promote the cause and, in so doing, make a positive impression on your employees and customers. Another idea: Place a small imprinted bowl of fruit on your employees’ desks with a note urging 5-A-Day for better health and increased productivity. With soaring health insurance costs, employers benefit greatly from improving their employees’ diets. 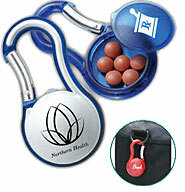 There are numerous useful, clever promotional products that can promote a health observance or recognize a health-service provider, from dosage spoons and pill boxes to medical alert bracelets and USB drives that store personal medical records. 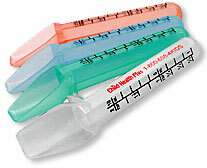 We can find the right product and healthcare observance to put a healthy spin on your company’s promotion. Give us at 708-478-8222, send us an e-mail or visit us online at www.linjen.com for a unique "prescription".